My final art project was going to be a mix medium artwork tackling the central idea of diversity of women in Islam. Despite my enthusiasm as well as deep interest in this issue, I delved into a more intense theme that has been on going for many years. My switch is still very relevant to women and feminism. Therefore, I made sure my final art project holds true meaning and virtues that are present and relatable to everyone in today’s world. Coming from a heavily cultural background that is of Palestinian and Jordanian origins, I decided to incorporate my roots into my work. Even though it has become a cliché to say so, nonetheless, my strive and goal was to simply try to portray the state of every Palestinian woman living on the occupied land. Whether it was during the Nakba, the house raids, or a casual walk on the street, Palestinians are under constant watch and danger. 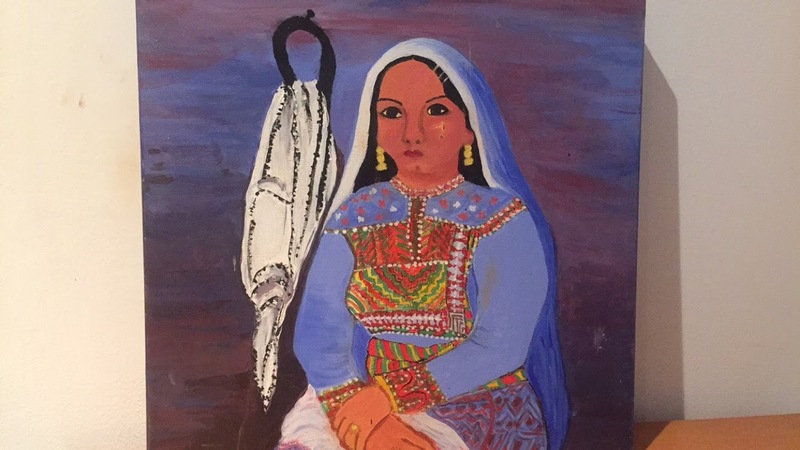 The women of the houses, whether it was the grandmother, mother, aunt, sister, or even neighbour, each Palestinian woman has felt some sort of fear to the people amongst her. Specifically towards the men of the house, who are regularly humiliated, captured, or abused for even the most trivial reasons. The woman is always in fear that her man might not make it back home. She is always yearning for the second she hears his footsteps at the doorway. Only then, she is relieved... almost. After ample research on the Internet, I also went back to my own family photo albums where I had more personal, more emotional insight at certain family member I haven’t even met. It was a fusion of emotions that ended with me ruining some photos because of the tears that had been shed on them due to my high level of sentiment. I will be photographing portraits of women who do and don't identify with the typical stereotype of a Muslim woman. But perhaps a novel, along with its cover art, captivated me the most. After studying both thoroughly, I decided to recreate this image as my final project. I recreated the cover page of the book. I titled it, “To Come”, referencing the wait that is to come for the Palestinian woman. Or the anticipation that is to come as she eagerly longs for his return. It can even be the news that is to come of her man’s state. It can be interpreted in many ways, but it is all hinting to the wait this woman is going through as she patiently sits and waits. I focused on showing the Koofiyeh in the back, as well as the embroidery of the dress, or Thob. The artwork carries the theme of patience amongst turbulence. For this piece I used Acrylic paint of various colors. I ended mixing ample of them. As the avid lover and student of arts, as well as frequent painter I am, I seek refuge in painting since it is liberating. The strokes of the brush become extremely soothing and relaxing through out the process. The dimensions of the canvas are 40x40 cm.